Regulating the level of moisture inside your home will help ensure that your HVAC system will be working effectively and efficiently for you. The correct humidity levels help your home stay cool in the summer and warm during the winter months. If proper levels are not maintained your home may be uncomfortable and the humidity could potentially aggravate allergies and respiratory issues. Improper humidity levels can also lead to damage to your home on the outside and the inside. One of the primary functions of any air conditioning system is to remove unwanted humidity, but sometimes an air conditioning system may not be enough to remove all of the moisture. Keeping the humidity levels and temperature at your personal preference point will keep your family and home comfortable every season. Low indoor humidity can cause many problems within your home such as causing paint to chip, damaging electronics, causing furniture to split and crack, exacerbating static electricity, and causing dry, itchy skin. 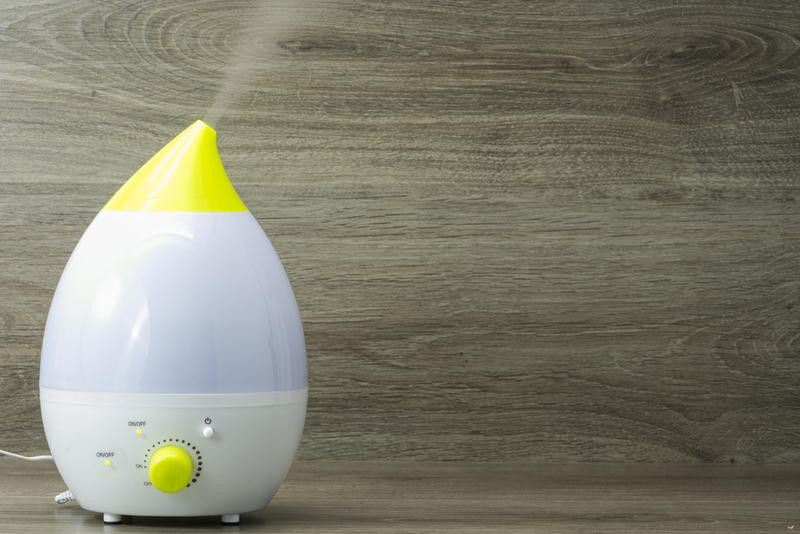 Using a humidifier in your home will help remedy these situations. Humidifiers provide several benefits to your health. Using a humidifier to increase the humidity in your home can have numerous benefits. They help improve your breathing and clear sinuses. They can also help reduce your risk of infection, studies have shown that increasing humidity reduces the ability of airborne viruses to cause infections. Humidifiers help to keep skin moist preventing dry, itchy skin. They can even improve sleep because the increased humidity provides relief from snoring and sore throats. Humidifiers also provide many household benefits as well. When heat goes through your HVAC system it spits out dry air to warm your house which can cause problems. Humidifiers can help eliminate static electricity. Over time that dry air can warp your furnishing, but by increasing the humidity that can be prevented. Humidifiers help protect your photos, paintings and collectibles from becoming discolored or brittle. On the other hand, high humidity inside your home can also cause problems. High humidity can result in moist insulation, mold growth, muggy air, problems with sleep, rotting woodwork and more. Dehumidifiers can help alleviate many of these issues. Using a dehumidifier along with regular changing of filters and vacuuming can improve the air quality of your home. This practice is especially important if you are asthmatic. You can also decrease humidity in your home by installing exhaust fans in high moisture areas of your home such as bathrooms, kitchen and laundry room. Seasonal humidity can adversely affect the comfort of your home unless it is properly managed. Managing humidity levels will allow you to enjoy the comfort of your home all year round. At ADA Heating and Air we can help you manage the humidity levels of your home. Our professional heating and cooling experts will make sure that your system is working properly, keeping your family comfortable and healthy. Proudly servicing all of Central Kentucky, Including: Harrodsburg, Danville, Nicholasville, Stanford, Versailles, Lancaster, Winchester, Lexington and the surrounding areas.